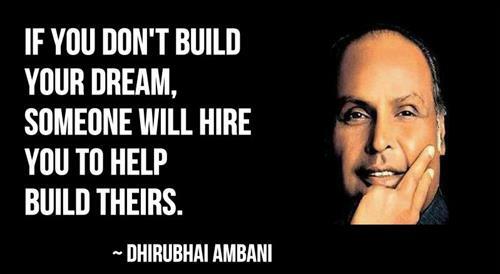 Dhirubhai Ambani was an Indian business magnate and entrepreneur who founded Reliance Industries, petrochemicals, a communications, power, and textiles conglomerate and the only privately owned Indian company in the Fortune 500. Ambani took his company public in 1984. 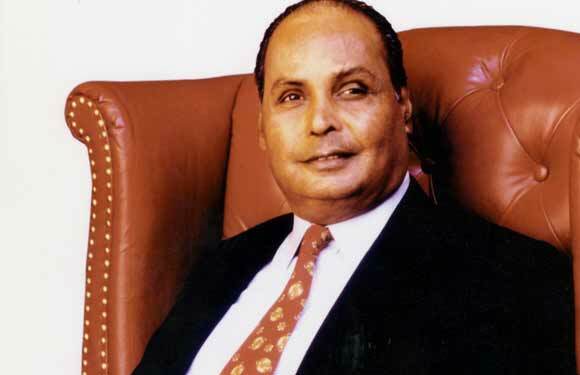 Dhirubhai has been one among the select Forbes billionaires and has also figured in the Sunday Times list of top 50 businessmen in Asia. His life has often been referred to as a true “rags to riches” story. Dhirubhai started off as a small time worker with Arab merchants in the 1950s and moved to Mumbai in 1958 to start his own business in spices. After making modest profits, he moved into textiles and opened his mill near Ahmedabad. Dhirubhai founded Reliance Industries in 1958 and today the company, with over 85,000 employees, provides almost 5% of the Central Government’s total tax revenue. No 1: Roll up your sleeves and help. He does not wait for infrastructure to be created to support his operations. He goes out and builds it himself; be it a power plant for his petrochemical enterprise or a canal to bring water from large distances for his cooling plant. Small men like me don’t inspire big words! No 2: Be a safety net for your team. he gently asked “M” if They needed any help in combating it. Knowledge that he knew and cared for what his team was going through, and that he was there for Them if needed him, worked wonders for confidence. No 3: The silent benefactor. Expect the unexpected; just might have been coined for him. No 4: Dream big, but dream with your eyes open. Whenever a task seemed too big to be accomplished, he would reply: ; No is no answer! ; Not only did he dream big, he taught all of us to do so too. NO 5: Leave the professional alone! The simplest strategies are often the hardest to adopt. NO 6: Change your orbit, constantly! When you change orbits, you will create friction. The good news is that your enemies from your previous orbit will never be able to reach you in your new one. By the time resentment builds up in your new orbit, you should move to the next level. And so on. Arm around the shoulder -With that one simple gesture, he managed to achieve many things. This tendency that he had, to draw people towards him, manifested itself in countless ways. … That did much more than words in letting me know that I belonged, that I had his trust, and that I had him on my side! He was not an MBA. Nor an economist. But yet he took traditional market theory and stood it on its head. And succeeded. When everyone in India would build capacities only after a careful study of market, he went full steam ahead and created giants of manufacturing plants with unbelievable capacities. A by-product is something that you don’t set out to produce. It is the spin off when you create something larger.